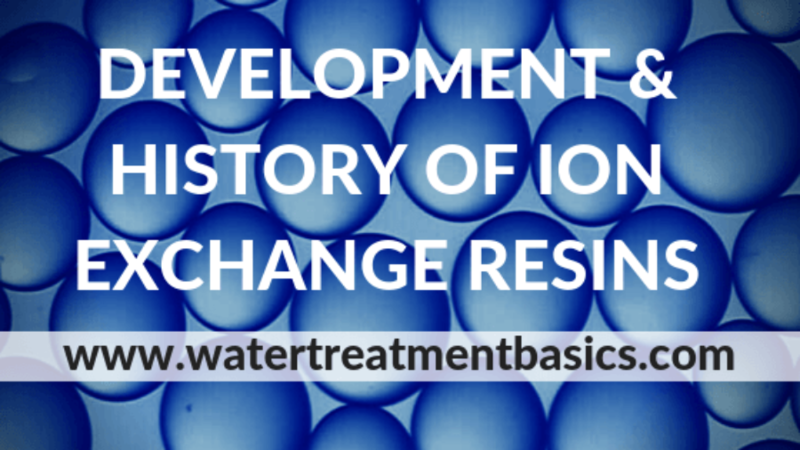 Two Englishmen Thompson and Way, first recognized the process of ion exchange in 1850. They reported that when a fertilizer solution poured over a column of soil, ammonia in the fertilizer solution was replaced by calcium from the soil. Ion exchange was not used for any industrial application until 1905. At that time a German chemist Gans, used a synthetic sodium aluminosilicate cation exchange material called zeolite in water softeners. Gans’ water softeners exchanged sodium ions in the zeolite for both the calcium and magnesium ions in the water. softening water through the process of removing these hardness ions. A naturally occurring zeolite called greensand later replaced synthetic aluminosilicate for use in softeners. Greensand has greater physical strength than aluminosilicate because It was more suitable for industrial applications. In 1944, strong acid cation (SAC) exchange resin was produced by co-polymerization of styrene and divinylbenzene. The styrene-divinylbenzene (S-DVB) copolymer is very stable and has more capacity for ion exchange than greensand. A styrene-divinylbenzene strong base anion (SBA) exchange resin was developed in 1948. It was capable of removing all anions including silica and carbon dioxide in water. Many modifications have been made to the copolymer structure of the original SAC and SBA styrene-divinylbenzene ion exchange resins since 1948. These modifications have been made in an attempt to meet specific industrial needs and to provide increased resin life. Demineralization or deionization is the complete removal of ions from the process water. Only pure water remains after treatment. Demineralization requires Strong Acid Cation (SAC) and Strong Base Anion (SBA) resins because Weak Acid Cation (WAC) resin does not remove all cations and Weak Base Anion (WBA) resin does not remove weak acids i.e. carbonic acid and silicic acid. Water Softening process uses Strong Acid Cation(SAC) resin in Sodium(Na+) form.Softening process only removes calcium and magnesium ions from water.